It’s a question I have been considering because I read The Truth About Employee Engagement by Patrick Lencioni in November. It was a great book – I read in less than 24 hours! Earlier in the fall, I worked on an employee engagement committee at a large company. 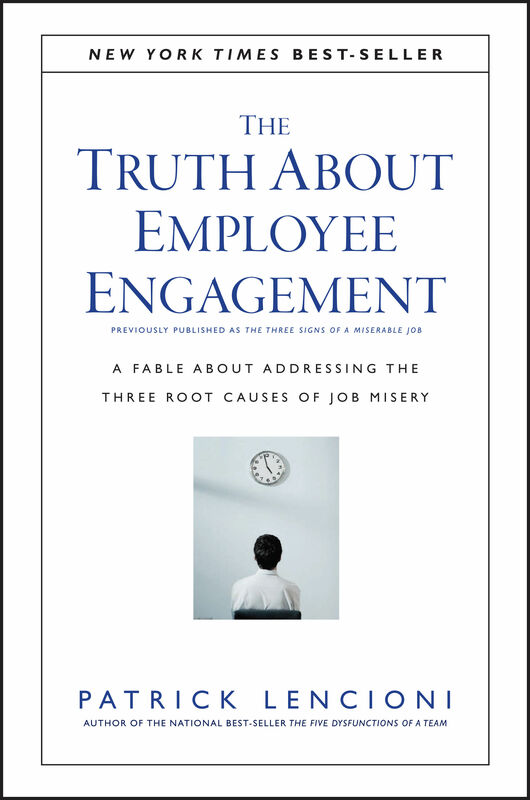 Through this study and experience, I have started to appreciate the importance of employee engagement at a deeper level. There is a growing body of research and surveys showing the high cost of employee engagement. Before we go any further, let’s define engagement. According to Gallup, highly engaged employees are valuable because of”the discretionary effort they consistently bring to their roles.” That additional effort makes a major difference over time. Discretionary effort makes a huge impact in creative and professional roles. These findings suggest a significant opportunity to the bottom line by improving engagement. Unlike creating new products or raising capital, improving engagement is a high leverage improvement. If you want to make an impact and you have limited resources, delivering improved engagement is an excellent strategy to pursue. Over the past few years, I have read quite a few business books. Lencioni’s books stand out for two reasons. First, he uses a fable to present his ideas. Second, his books are highly readable and easy to remember. Unlike some books and courses, I did not feel overwhelmed with recommendations and data. In the book, Lencioni presents an executive who expands a company significantly by encouraging a positive culture. After the company is sold, he retires for a short period. He starts to feel bored and wonders if his success was a fluke. That decision leads him to invest and manage a small restaurant. It’s an experiment to determine if his employee engagement approach works. In Lencioni’s book, there are three factors one can use to predict engagement. Lencioni makes a compelling case for these principles applying to all industries and a variety of job roles. Let’s dive into the model’s factors. 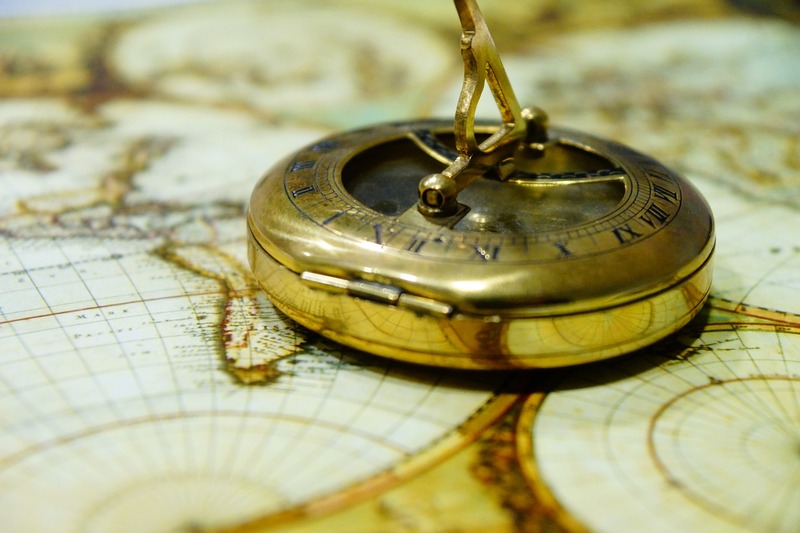 Finding a connection between one’s daily work and other people in the organization. Those in sales, marketing and customer service usually have no difficulty in seeing how their work impacts other people. What about other people? Those in IT, for example, rarely interact with the customer on the street. The solution to that challenge is to look at “internal customers.” After all, sales staff are usually not equipped to manage shipping, engineering, finance and other activities required to manage a modern business. Now that you know the model, you can lead by example. Use the examples below for different roles to learn how to use Lencioni’s model to improve your engagement and effectiveness. At first glance, lack of measurement may not seem significant. After all, annual performance reviews are a common practice at most organizations. The major insight for measurement from this book cover a few points. An effective and motivating measurement system will provide a daily success reading. In addition, the measure will relate to an activity within the person’s control. Developing effective measures that meet these criteria will likely be a challenge. Yet, it is a challenge that is well worth the effort. Let’s examine how this model could apply to a project manager. In this example, we will look at a project manager at a large bank who is based in a project management office. Your situation may be different, yet this example can be adjusted to fit your circumstances. Anonymity. Under the best conditions, the project manager will have a supportive and engaged supervisor such as the PMO director. In that case, I recommend that the project manager sustain the relationship by paying attention to what is happening in the director’s life. If the project manager is mainly working with an executive sponsor, developing a relationship with that person would also be helpful. Irrrelrevance. A well designed project will only be started to serve a valuable business purpose. In that case, the project manager can draw relevance from the project vision. In addition, many project managers see their role as “clearing the way” for their analysts and subject matter to complete the project’s technical work. Immeasurement. PMP Project managers understand the importance of monitoring and controlling to running a successful project. That same process also applies to an individual’s work. Given that 80% or more of a project manager’s work involves communication, measuring communication effectiveness is a promising measure. Specifics could include successfully resolving conflicts, using the project communication plan and building a good relationship with the project team members. What measures could you develop and use to improve your engagement and professional results? For many of us, the summer is a slow period at the office. As many people leave the office for vacations and holidays, the pace of work slows down. It is easy to slow down and defer work to the fall. Don’t fall into that trap of “writing off” the summer as a lossed cause. What’s the solution? Work on a summer project! It’s a great way to get ahead and stay excited during the summer. In addition to the immediate benefits, completing a summer project will get you ready for the fall. Without a good summer project, you may fall into the habit of browsing Facebook all day instead of accomplishing something you will be proud of at the end of the year. What Makes A Good Summer Project? Learning. A good summer project gives you the chance to learn new skills such as improving your technical skills (e.g. finishing that Microsoft Excel course you started a while ago). For example, entrepreneur Neville Medhora set himself the challenge to learn Ruby on Rails in April 2015 – that could work as a summer project. Challenge. A good summer project represents a challenge and a break from the status quo – working through uncertainty is part of the experience. Fun/Satisfaction. Imagine yourself at the end of the experience – will you be happy for having completed it? This factor is closely related to the challenge factor. Armed with the above factors, you are ready to start designing a successful and satisfying summer project. Project managers – you finally have the chance to apply your professional skills to get ahead and get more out of life. Unless you already have a clear idea, I suggest coming up with 10 ideas. Coming up with 10 ideas, as a minimum, is an excellent mental ability to develop and refine. For inspiration and further instruction in becoming an idea machine, I refer you to The Ultimate Guide for Becoming an Idea Machine by James Altucher. I suggest considering several types of summer projects including learning skills, personal growth and business improvement. Over the rest of the month, I will cover a variety of summer projects to give you further inspiration and ideas. For now, let’s go over a high level series of steps to develop, execute and celebrate your summer project. The above steps are intentionally written in a minimalist fashion. Excessive planning takes time away from execution, which we will cover next. Getting down to work and actual activity is where the fun and benefits of your summer project really start. Use the following tips to keep your summer project on track. Please share additional execution ideas in the comments section of this post. Experiment and make mistakes. The learning experience of a good summer project is bound to make you uncomfortable. The possibility of failure makes success taste that much sweeter. Seek feedback from an expert. Feedback is a powerful tool to improve your performance. In this context, an expert is somebody who possess the knowledge or skills you are working to develop (e.g. I learned the basics of dragon boat racing from a coach who had competed at the national level in June 2015). As you work through your summer project, take note of your feelings and experiences. For example, you may decide to use The 5 Minute Journal to make a few brief notes each day about your progress. Self-understanding is essential to becoming a better leader and reaching your goals at work. Reflecting on a summer project is a safe and easy way to improve your self understanding. Congratulations! You have come to the end of your summer project. That’s a great feeling! Before you immediately start working on your next idea, take some time to celebrate what you have achieved. Celebrate with friends and family. The summer is a great time to relax in a restaurant or host a dinner party – why not celebrate completing a summer project at the same time? Earlier in the year, I celebrated when I earned the Project Management Professional certification (see: 5 Lessons Learned From Becoming A PMP). Consider buying a reward for yourself. Nothing says “well done” like receiving a reward. If you have completed in a race or some other athletic activity, you may have a t-shirt or medal. Otherwise, I suggest treating yourself to a book (comment on this post if you want suggestions! ), a good bottle of wine or something else that you enjoy. Celebrating your success has practical benefits. For example, research from Catalyst found that, “publicly celebrating and acknowledging successes has more impact on women’s compensation, career advancement, and satisfaction than directly negotiating for higher compensation,” according to BC Business. Designing a summer project at your office. There are plenty of ways to improve your organization and your department. Learn how you can set yourself apart from everyone else in your organization by running a summer project. Decisions are the core of what we do in the professional world. 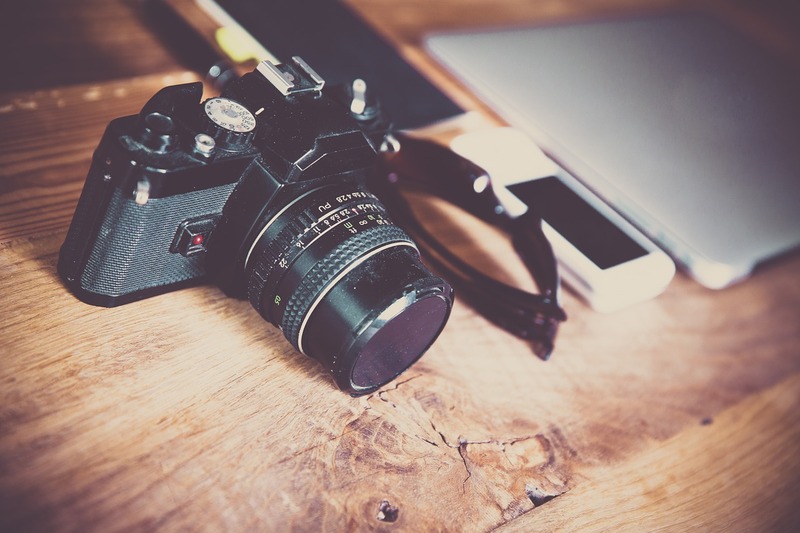 You decide whether or not to fund a project. Next week, you decide to skip exercise to work longer hours. Later, a team member makes a technology decision and you have to clean up the mess. The quality of our decisions are a major factor in shaping our professional success. Unfortunately, very few people have reflected on the art of making decisions and decision making. That’s going to change with today’s article. You will learn nine common threats to effective decision making and what you can do to overcome them. Let’s first set the stage by looking at decision making challenges we face every day and studies on decision making. Researchers in economics, psychology, health and many other fields are producing a growing field of research into decision making. It is humnbling to learn just easily our decision making ability can be disrupted. Let’s consider a few of the findings below and ask ourselves how these ideas apply to the working world. The Stress of Poverty Tends To Lead to Poor Financial Decisions. Have you ever wondered why people take very high interest loans from “payday lenders”? One answer to this question is that the stress of living with limited resources acts as a “tax” on one’s decision making ability (The Guardian). Memory Strongly Influences Decision Making. Researchers at the University of Basel found that “people are biased toward remembered options and reject them only if they are very unattractive.” When looking at several options, keep in mind the influence of familiarity. Lack of Sleep Slows Decision Making. Effective leadership includes the ability to make decisions as needed. A lack of sleep slows down your decision making in crisis situations according to research from Washington State University. As the stress and importance of your decisions increase, your need for sleep also increases. Cutting sleep also cuts away at your ability to make good decisions. Consistent decision making leads to success. A 2015 study from Statistics Canada reports that “Early demonstration of consistency in career decision was associated with earlier entry into postsecondary studies and higher levels of educational attainment at age 25.” This research reminds me of a comment by John C. Maxwell who write, “successful people make right decisions early and manage those decisions daily” in his book Today Matters: 12 Daily Practices to Guarantee Tomorrows Success. The research studies cited above clearly demonstrate the high cost of poor decisions. Specifically, let’s look at eight problems that hurt your decision making ability. Developing the ability to combat these challenges will set you apart from others. Spending time on developing decision making skills is especially important as your responsibilities grow. The impulsive threat means you are acting too quickly. You are ignoring the data and the impact on other people. This threat can be a weakness for people with a strong desire to move ahead. This threat can be overcome using systems and a process. In some organizations, risk is a “four letter word”, a concept to be avoided at all costs. However, risk and uncertainty are all around us. In the investment context, one faces the risk of inflation which may overwhelm the modest gains available in low risk investment vehicles. As a leader, it is important to develop and practice the skill of making decisions about risk and the potential rewards. Making decisions without information presents two significant problems. First, you are likely to miss important considerations such as costs you may need to pay. Second, deciding without good information may harm your decision making reputation. After all, if people see you deciding in an information vacuum, they may consider you biased and irrational. When you are facing large decisions, it is natural and reasonable to involve other people. However, the halo effect needs to be taken into consideration. This effect states that an overall perception of a person may be impacted by their ability in one area (e.g. a skilled engineer is perceived as universally effective even if he has no knowledge of the market you are considering entering). While most important decisions are ultimately made by a single person, being a loner is a threat to effective decisions. What is the threat of being a loner in the world of decisions? Being a loner means it will be difficult for you to implement a different decision and obtain all the benefits you foresee. Decisions often concern developing a solution to a problem. For example, your company may face a challenge from a competitor who brings new products and technology to the market. The decision you face becomes: how will we compete and win? One response is to simply copy the competitor’s methods. That’s just one option. The more important a decision you face, the more options need to be considered. One of the insights I learned from reading Peter Drucker’s classic book “The Effective Executive” concerns the importance of follow up and implementation in the area of decisions. Making a decision without follow up is like sitting in a car with directions and never going a step further. If a decision is made in a meeting, then make sure at least one follow up step is made. For example, you may assign a team member to gather research on your company’s data analytics talent before starting a substantial Big Data project. Keeping all decisions to yourself in a project (and in other situations) is a threat to long term success. Thoughtful delegation is an effective way to help people grow. As Dan Rockwell points out on the Leadership Freak, it is also important to help people think through risk tolerance issues. Dan also makes a great point in setting deadlines when asking others to make decisions. Sure, collecting “just a bit more data” might make the decision better. However, there is also a high cost to delay. What are the greatest threats and challenges you face when you make important decisions? 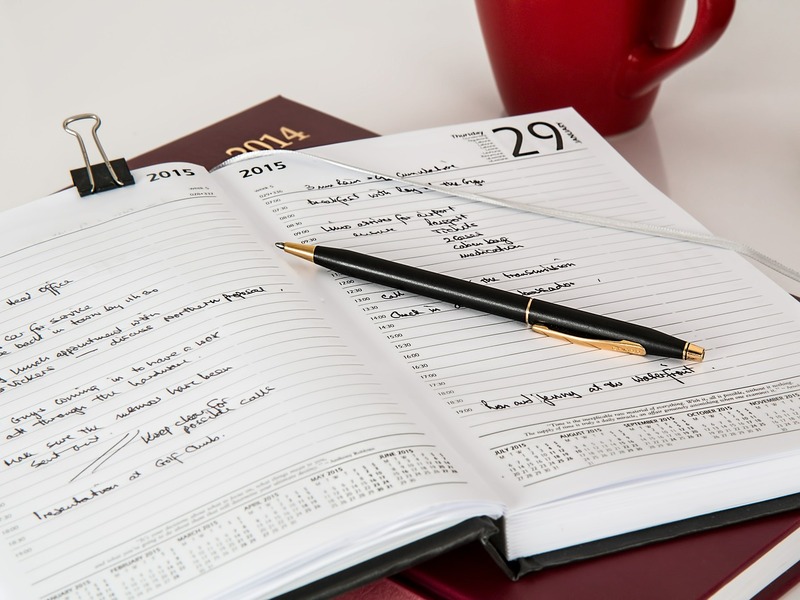 The Weekly Review is one of the most powerful self-management tools that I have learned. In this post, I will explain why the Weekly Review is a powerful productivity tool. In addition, you will also learn what goes into my Weekly Review. I often find it helpful to learn how an individual uses an ideas, so I hope this post will inspire you to start a Weekly Review (or improve your existing practice). The above comment reminds me of one of the most surprising aspects of the Getting Things Done approach: the bottom up approach. If you find mental clarity valuable, the Getting Things Done approach makes a big difference. I have not achieved 100% success with the methodology yet. I do find that each time I implement these ideas and practices, there are clear benefits to increased creativity. Before adding another standing appointment to your calendar, you may have some questions about the value of this practice. That’s understandable. I will share a few ways that this practice has helped me. I hope that my experience and results inspires me to try the Weekly Review. Review The Past: how often do you look at your calendar from last week? This step of the Weekly Review prompts me to review recent meetings and activities. For example, I will sometimes be reminded to send a follow up email or review meeting notes for action items. Good Mindset To Start the Week: I prefer to conduct my Weekly Review on Monday mornings (though I also see the merits of Fridays). I like Monday mornings because the week is not yet reached full speed. Regarding mindset, the practice also prompts me to “be proactive” as Stephen Covey recommended. Above and beyond the benefits explained above, there is much to be gained from implementing the Weekly Review. Once it becomes a habit, I look forward to it. It gives a sense of increased satisfaction and control. The Weekly Review also provides risk management benefits: the risk of missing deadlines or needed follow up efforts will decline. When I work through my Weekly Review, I use a blank template Microsoft Excel file. I first created the file in 2013 and have refined it (adding and deleting various parts) since then. Generally speaking, my plan is to complete the Weekly Review on Monday mornings before lunch. I find that the process generally takes 30-60 minutes (more time is needed when there is more input). This phase focuses on the information gathering activities defined by Getting Things Done. In particular, I aim to move items from the email inbox into tasks. This is not simply a matter of copy and paste. Rather, it involves defining the next action. This phases looks at calendars and a few key relationships. My practice is to combine personal and professional review in this phase, as I do above. You may also notice that I have a line item for spouse and family. As I like to work through processes, these items simply serve to remind me. Those steps, like the rest of my Weekly Review practice, is a work in progress. Review Spouse Status: any outstanding tasks, emails or calls from her? This phase is the fun part of my Weekly Review. In fact, I added this section to the Weekly Review a few weeks ago. I thought it would be an enjoyable gift to myself. I have a passion for reading books and I like to give myself some time for this activity. Michael Hyatt’s recent article 5 Ways Reading Makes You a Better Leader has only enhanced my resolve to keep on reading. Title of today’s book: The Martian by Andy Weir (the majority of my reading is non-fiction. However, my decades long interest in science fiction and numerous recommendations for Weir’s novel led me to pick up this title. So far, it is an excellent read. 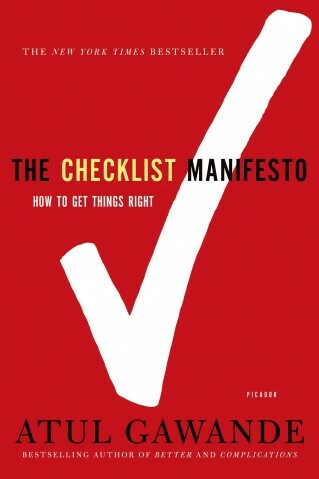 Last week, I read The Checklist Manifesto: How To Get Things Right by Atul Gawande).